The Plot: Qunicy Watson, after being unceremoniously dumped by his fiancé, pens a "how to" book on breaking up and becomes a best-selling author on the subject. Not wanting his male friends to suffer the same fate, he gives them advice on dumping their mates. A comedy of errors ensues. I have to admit, this is really funny! Of course, that would depend on what type of humor you like, but, well, I'll say this: when a pug gets drunk its time to pause for a laugh-fest, ok? I really had a hard time getting myself to watch this, but this is definitely what I want in a romantic comedy! The Plot: Terrorists steal nuclear warheads from the US military but don't count on a pilot and park ranger spoiling their plans. This is yet another movie I didn't have high hopes for. I'm not into any war-type movie, and this is close enough. However, there was an aspect to it that kept me interested. There is a certain relationship between the rouge military pilot and his old partner that makes seeing them fight all the more climatic. At some points the movie can really drag on, and some military terms and meetings just, idk, make you lose interest. Or maybe its just me. If its not in lamen's terms then I typically don't understand it!! I also like "Broken Arrow". It's an entertaining action movie. Not more, not less! 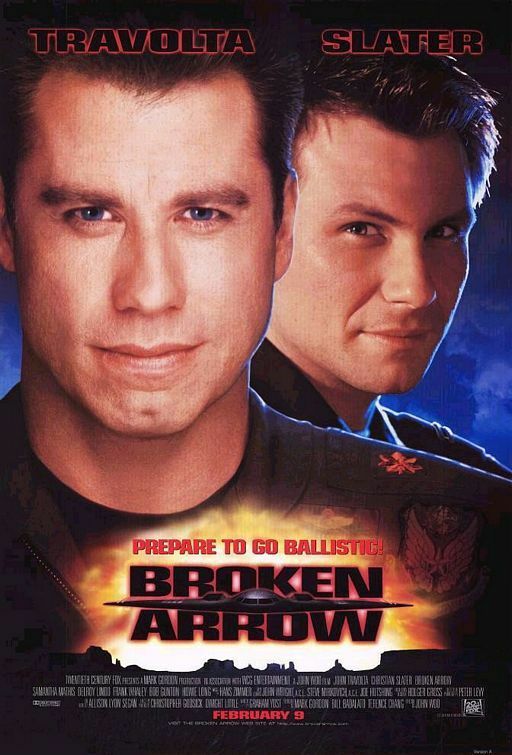 I always enjoyed Broken Arrow as well... I haven't seen it in years... so I may need to borrow your copy some time Britt! Just remember.....no horror until the first!!!! The Plot: Emma Thompson stars as a governess who uses magic to rein in the behavior of seven ne'er-do-well children in her charge. I saw this before, and its about the same as I remembered it. McPhee is a great family tale, but I just wish we could see her a little more without the make-up than it showed. Pretty touching, all in all a great movie...one that I think I'll watch with Dad sometime soon. 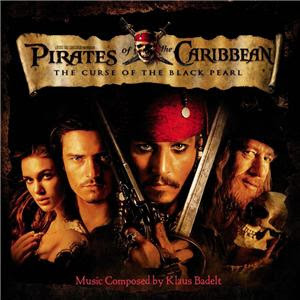 The Plot: Blacksmith Will Turner teams up with eccentric pirate "Captain" Jack Sparrow to save his love, the governor's daughter, from Jack's former pirate allies, who are now undead. My Thoughts: Wow. About 2 and a half hours I sat through right there. For me, that's a record......but I don't mind!! Pirates were never really my thing, and I never bothered to check this out. I have to say, Jack Sparrow is the craziest pirate I've ever seen!! There's not much to say other than the movie is crazy action and fun to see! Orlando Bloom, Johnny Depp, Keira Knightley, excellent job with it all! Glad you liked it so much Britt... Whenever you like I have both sequels you can watch. Jack Sparrow is one of the best characters..he's so entertaining. The Plot: A wannabe rock star in need of cash poses as a substitute teacher at a prep school, and tries to turn his class into a rock band. Really, I don't think there's anything like this!! The Plot: While examining the influence of the fast food industry, Morgan Spurlock personally explores the consequences on his health of a diet of solely McDonald's food for one month. 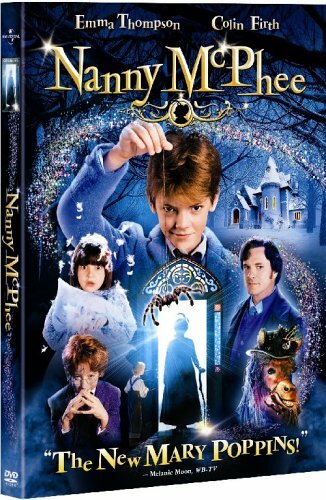 My Thoughts: I had to watch this a couple years ago for science class, then again last year for health class. It grossed me out back then. It grosses me out now!! The truth is, this is one of my favorite movies to watch. It speaks the truth and its got kickin music and paintings. But I also lose my appetite every time I see it, so it's, like, impossible for me to accurately rate it. Though, I definitely recommend it. If you're into fun documentaries with a huge gross-out factor, this is made for you. Quick tidbit, 6 weeks after the movie came out, McDonald's completely got rid of the "Super Size" option. They claimed that decision had nothing to do with the movie. Not really... I can tell you that in my alcool and drug days I have pass a complete year eating only at fast food (McDo, Subway, Burger King, Rodi and Salvatore) since I didn't had time to do food. I never got fat (not even pass my healthy weight limit) and my health was as usual. It isn't McDo or the other fast food chains that are responsible if the people become fat, but the fact most of them stay in front of the TV and don't really do exercise. There are always exceptions and I think you might be one Jimmy. But, I would be interested to see what your blood work and relevant tests would have shown during those days. It has been quite a while since I saw this but I believe Morgan Spurlock and his girlfriend were "health nuts" before he went into the project. I know that his baseline physical assessment was that of a healthy individual before he started on this journey. He had a complete physical, including lots of medical tests, to compare his baseline data with those that were gathered during the process. I was shocked at how quickly his body deteriorated based solely on his dietary changes. And, as he changed it affected all other areas of his life. It is an interesting concept and made a film that I found quite fascinating. I would recommend this to others - it does give you something to think about. But, I would be interested to see what your blood work and relevant tests would have shown during those days. I haven't seen a doctor since at least 18 years Kathy. My mother bothers me with that every time we met, but as I say to her everytime : I feel good and I don't need to see a doctor to find me imaginary diseases just to sold me a fortune in pills. To be honest if I can spend the rest of my life without meeting another one I will be more than happy. Most diseases are created by stress and the doctors are a stress inducing factors.